Brrrr it's chilly here this morning in Virginia, and I'm feeling like I want to go snuggled back under the blankets for a bit in bed. 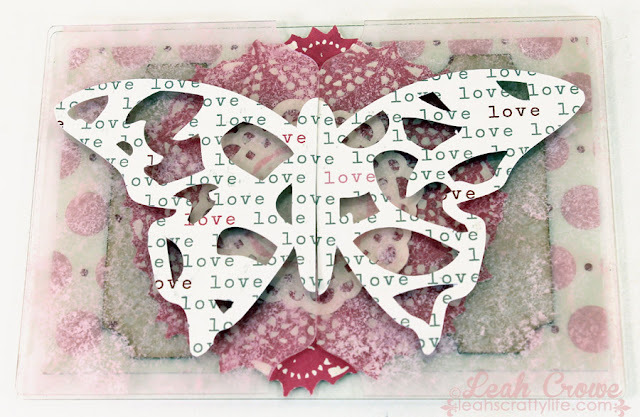 For now, I would like to share with you this gorgeous Send It Clear card I created for Clear Scraps yesterday. I placed pop dots on the backside of the butterfly, then cut it in half. This card was so quick and easy to put together. 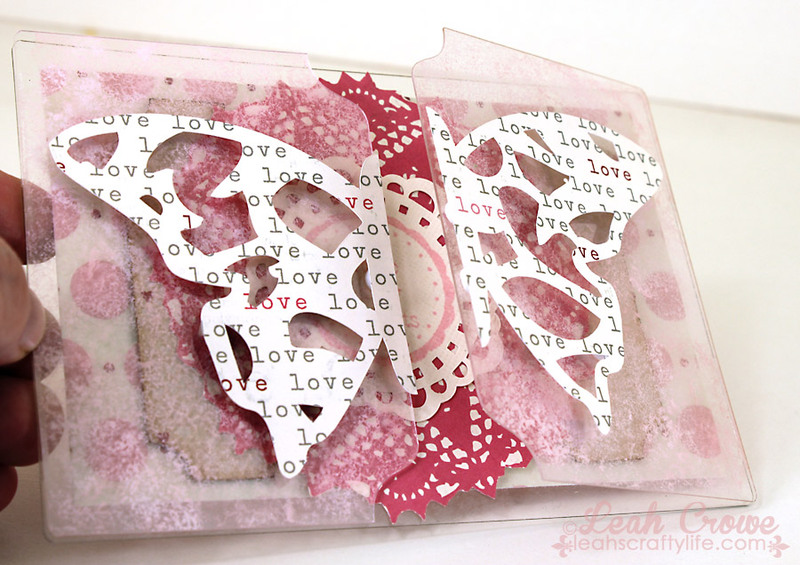 Have you worked with Clear Scraps acrylic before? 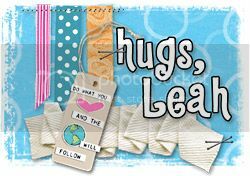 If so, leave me a link on the Clear Scraps facebook wall, I would love to see what you've been creating! This is so super pretty! Wowwwwwwwwwwwww! This is AMAZING! I loveeeeeeeeeee the butterfly! This card is a show stopper! Talk about amazing! I love how you played with th acrylic....so cool how the butterfly subtly covers up the gorgeous red doily inside. TFS! Love, love, love it! I have had some acetate sheets lying around forever....I totally need to do something like this, it's gorgeous!! Featured Digi - Whooo is it?? Super fun NEWS from SOG!